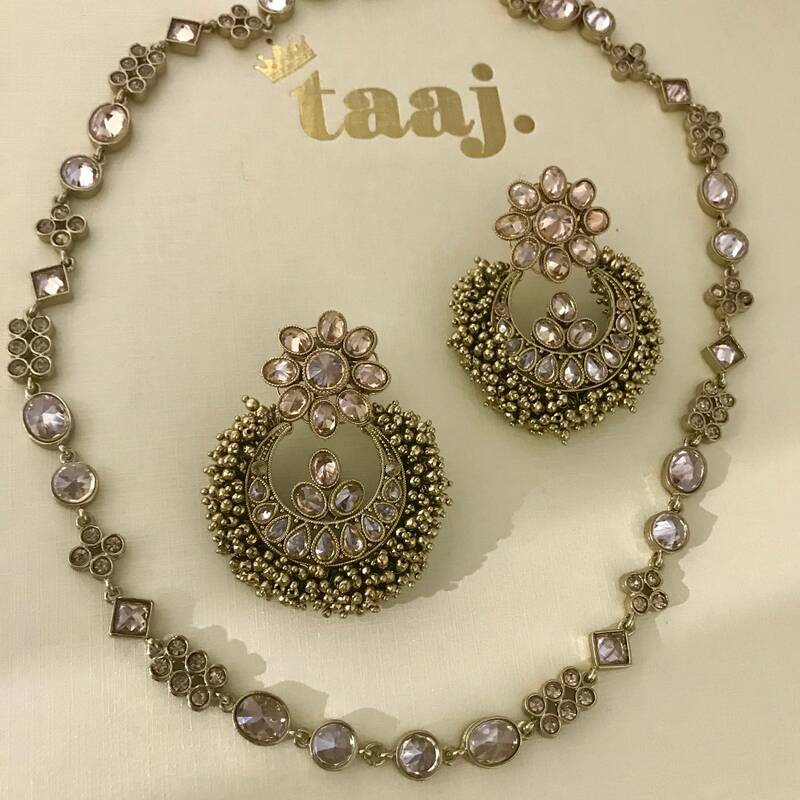 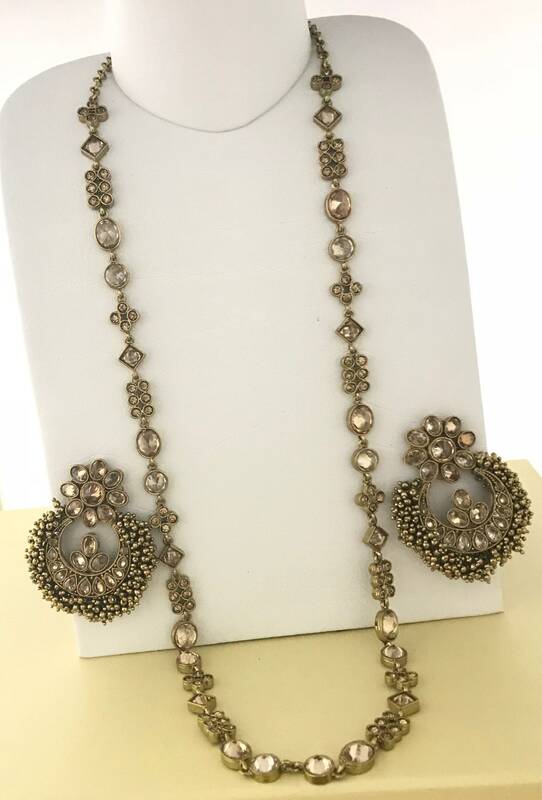 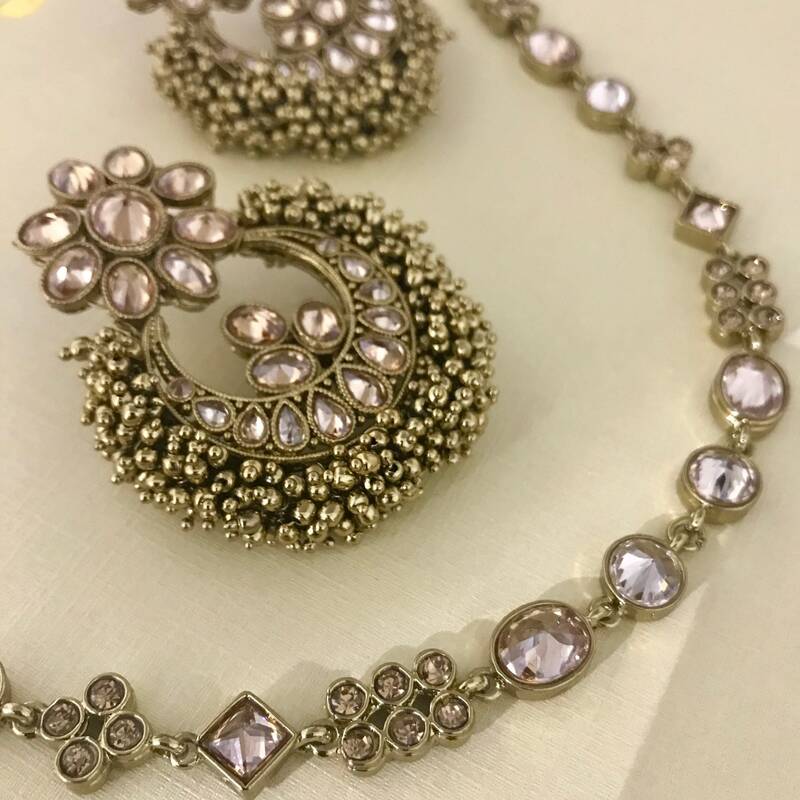 High quality antique gold zirconia Rani haar & Earring set. 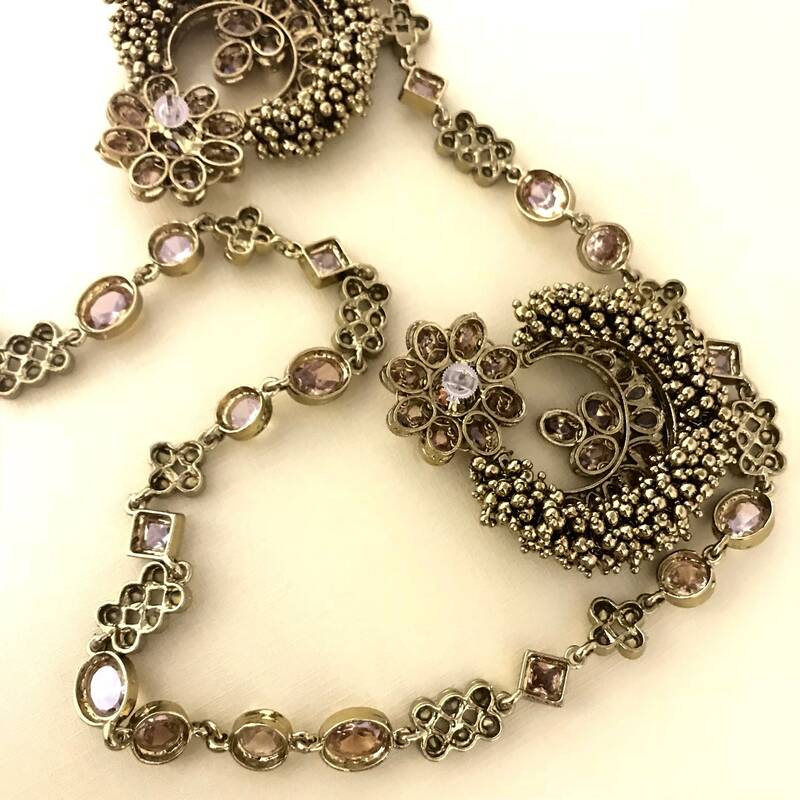 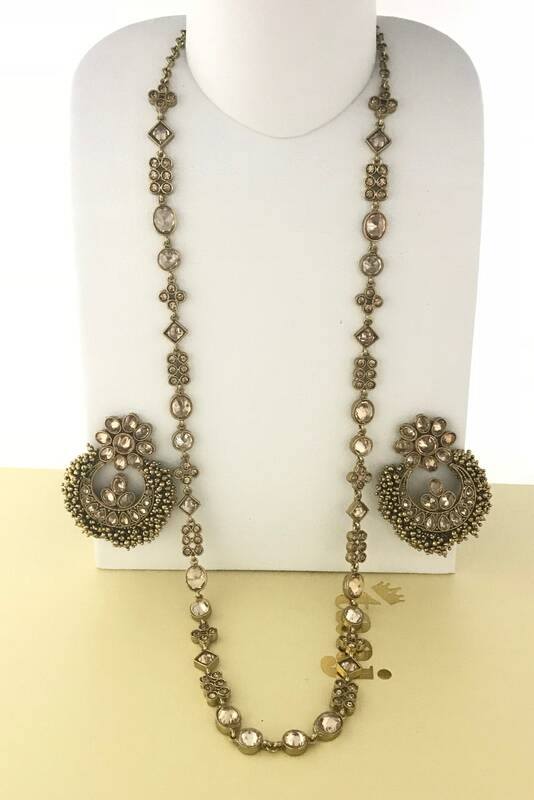 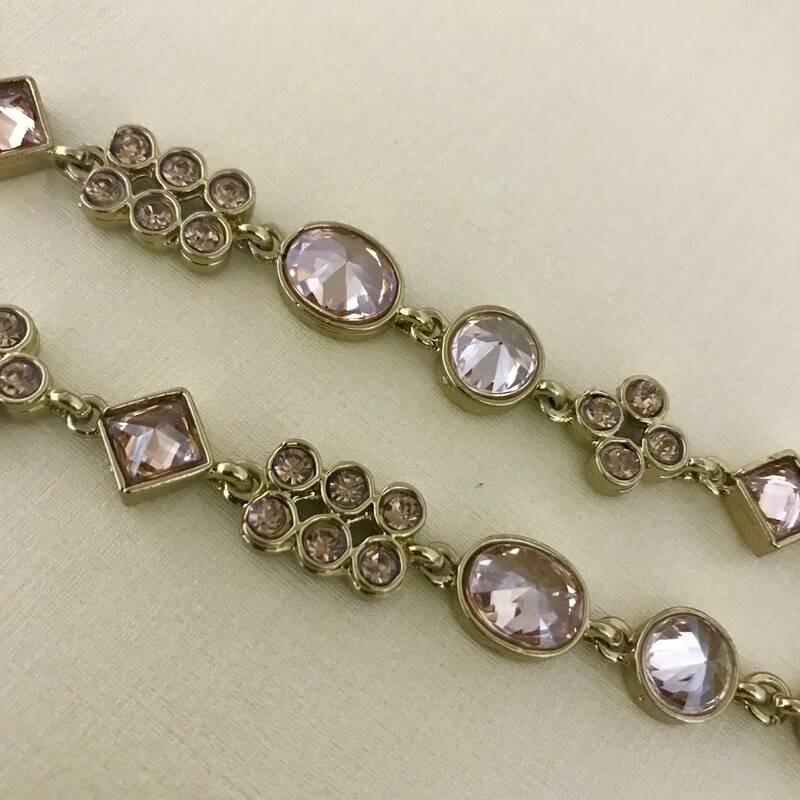 Antique gold effect with champagne zirconia stones Mala Necklace. 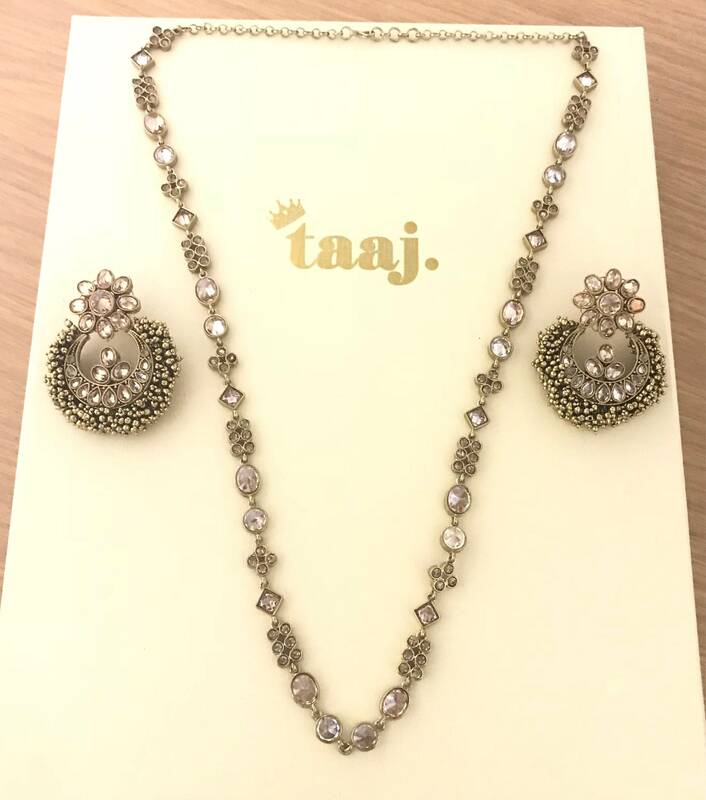 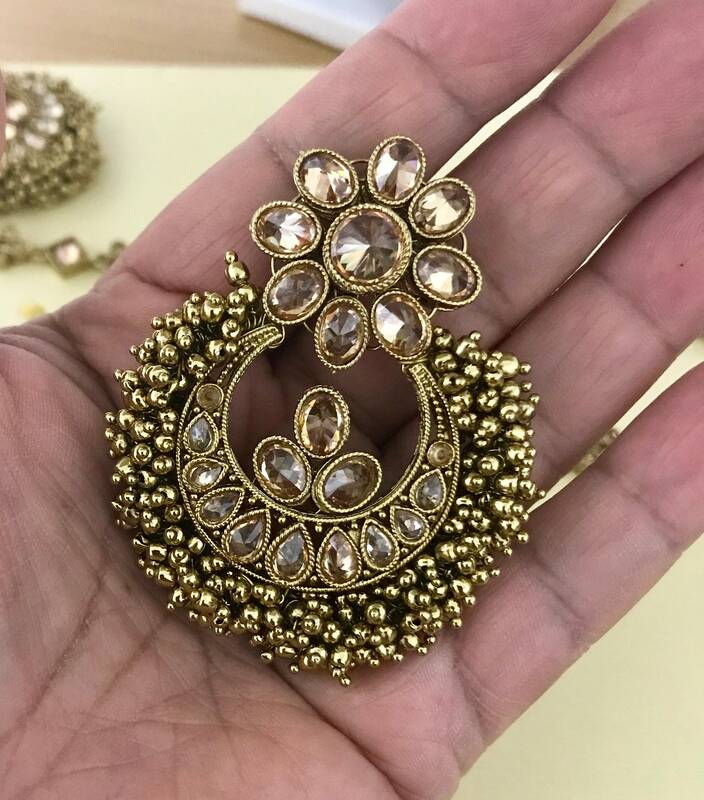 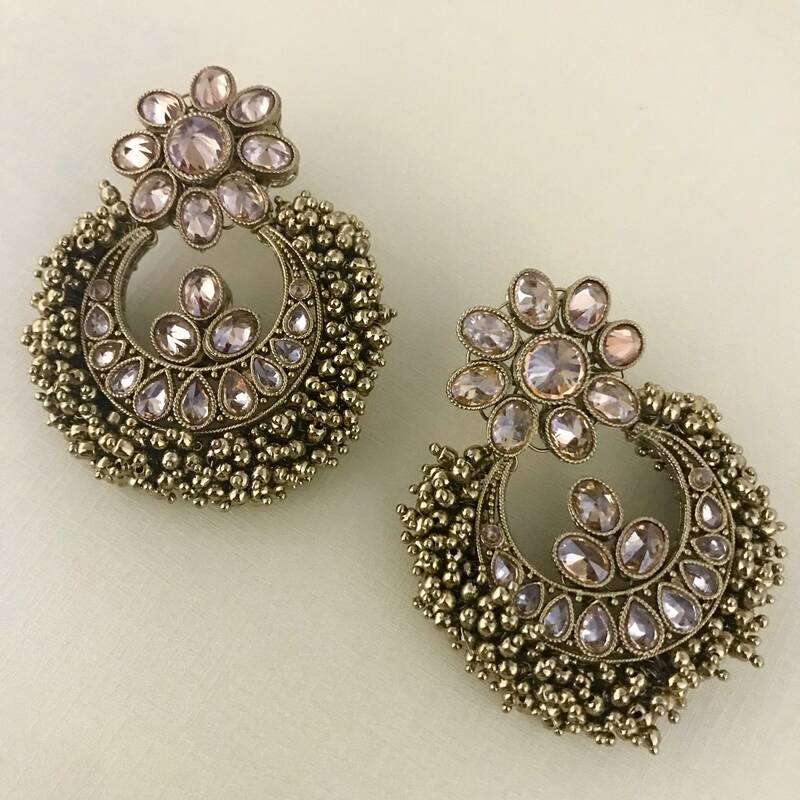 Chaand bali style earrings champagne gold zirconia stones, small ball bead design finish. 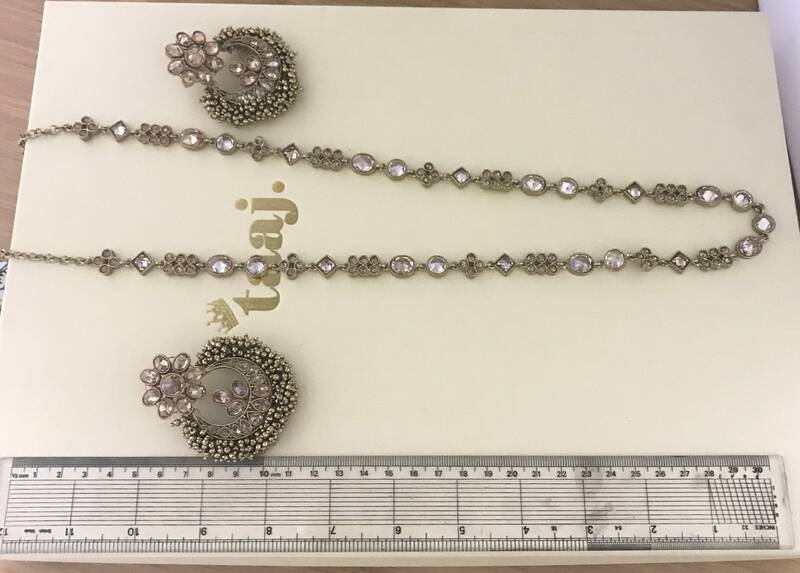 EARRING L60mm x W50mm (approx) pierced ears only.